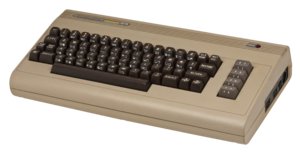 Commodore 64 is a hit-console of 80s. 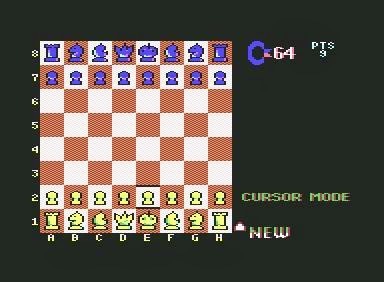 c64hess.d64 - app for solving very known collection of chess puzzles (book) by László Polgár in 1994. 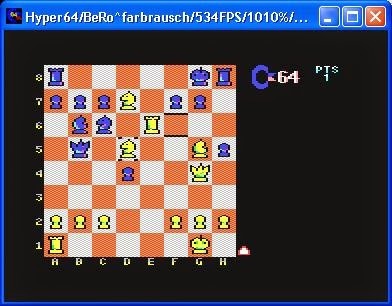 The player checkmates king in 1,2 or 3 moves by using cursor keys and collects +bonus points. 4440 puzzles collection is large enough for good chess training course. Another online version, thanks to http://vice.janicek.co, but 3Mb large and not so fast, anyway works. 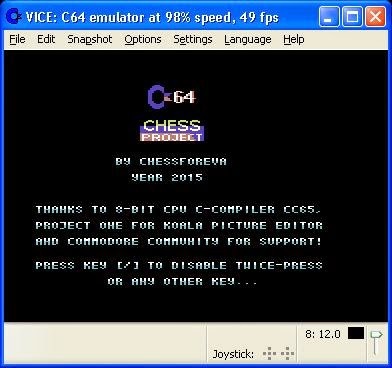 Hyper64 (the fastest c64 implementation). 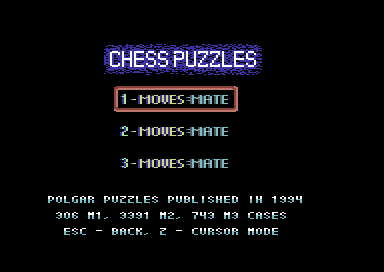 Project source code available at https://github.com/Chessforeva/c64hess . Incredible compiler cc65 brings coding to high c-level for this "8-bit calculator" device, no need to write asm-code. Project One helps painting pictures, LuaJIT and lua-code does data preparation work, c1541 tool creates floppy disk images.